I got these Dusty Girls goodies from the Bloggers Unite Summer 15 event a few months ago. I have been using this when looking for a natural look, either for work or when I have few errands to run. I found these products were easy to apply, so they were perfect for when you are having a lazy day and don't fancy a full face of make-up. I do usually tend to go for this look in the summer or on hot clammy days where there isn't much point in applying makeup, as it will just slide off my face. 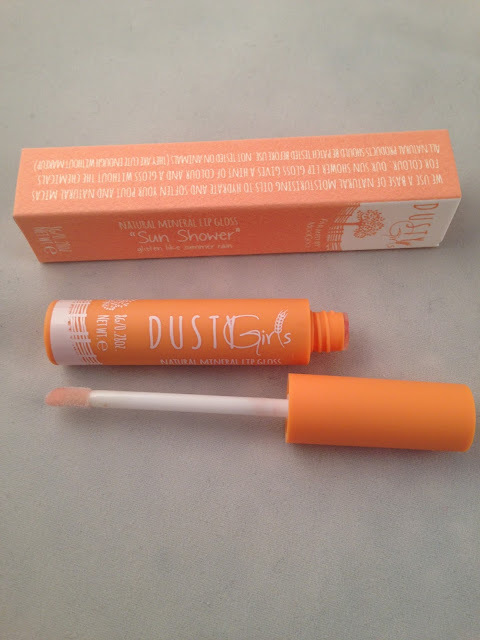 Before the Bloggers Unite Summer 15 event, I hadn't heard of Dusty Girls before, so it was great to hear about a new brand which I could try out. I loved the mantra of the brand; that they use natural ingredients, minerals and clays to help improve skin tone. This is great news for me as I have sensitive skin so I do need to be careful with what products I use. The packaging of the product stands out for me. I think packaging is important to get right, as it sets expectations of the product, and if the packaging isn't that great you might not pick it up and try it out in the first place. The mascara and lip gloss comes in a neat box which slides out of the outer packaging. This was a big thumbs up for me as I am a sucker for pretty packaging. Natural Mineral Lip Gloss 'Sun Shower': I am not usually a fan of lip gloss as I have found they leave my lips sticky. This from Dusty Girls gives a light finish which isn't sticky and had a light shimmer. I think this would add a great finish to a everyday look or to help with the staying power for a lipstick. 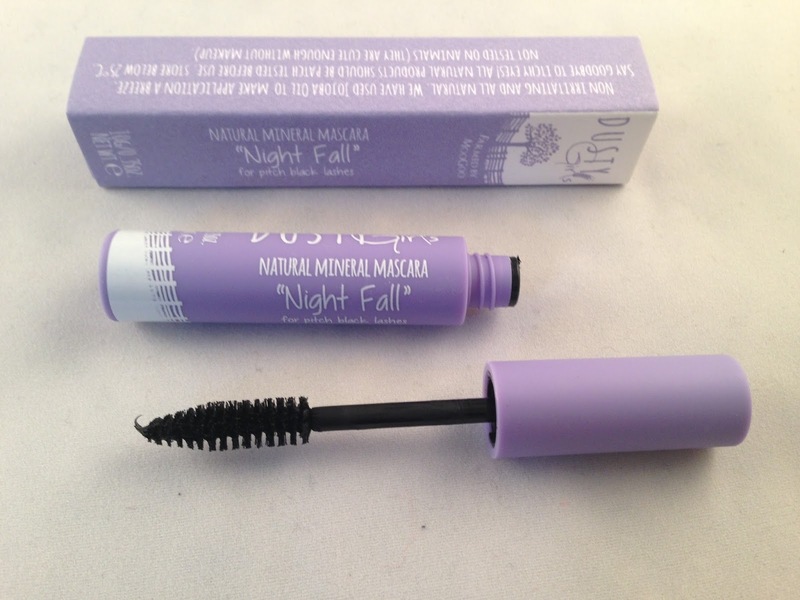 Natural Mineral Mascara 'Night Fall': I haven't tried many natural mascara's before so I was unsure what to expect. My eyelashes do require a lot of work as they can have a mind of their own so I do prefer mascaras that are quick and easy to use. This provides a light colour and curl to my lashes, I think it would take a lot of work if you wanted to do this for a night time look, but great for an everyday look. The Kabuki Brush also had a big head, I love using big brushes for buffering and when using setting powder for a more flawless finish. The brush was super soft and did not shed any hairs which I have found some larger softer brushes do. I hope Dusty Girls bring out more brushes as I would love to try these too. I am now a huge fan of Dusty Girls, I would love to try out some other products in their range soon. 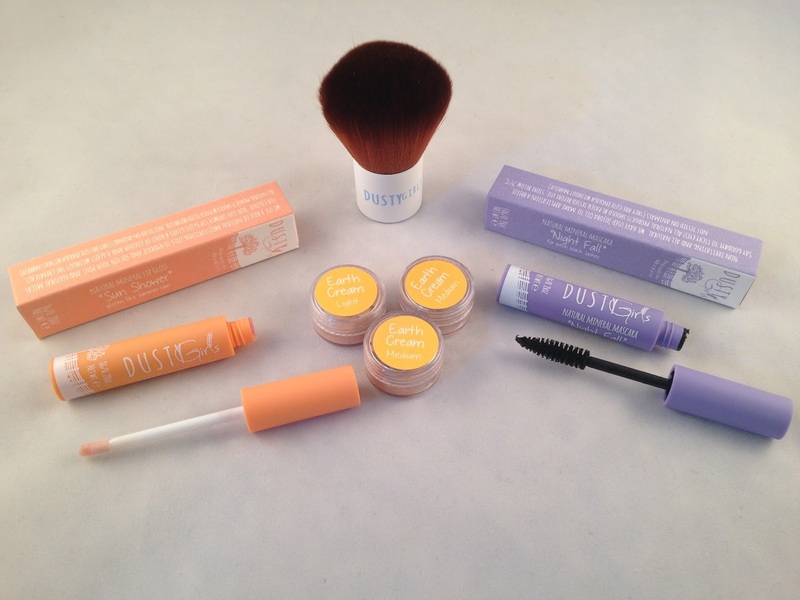 Have you tried any other of the Dusty Girls products?